Want to visit but have no idea what to see, do and try? I do! I do! 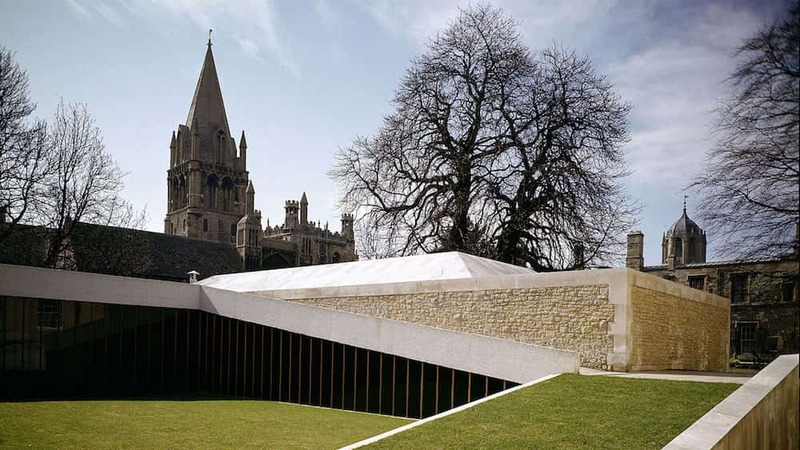 Want to make the most of Oxford but don’t know where to start? It’s a city that on the surface is just dreaming spires and tourist coffee shops, but it’s way more groovy than that if you know where to head (and yep, I do!). Here’s my Insider Guide to the coolest, quirkiest, unmissable bits of the city, whether you’re a local or heading here on a special break. 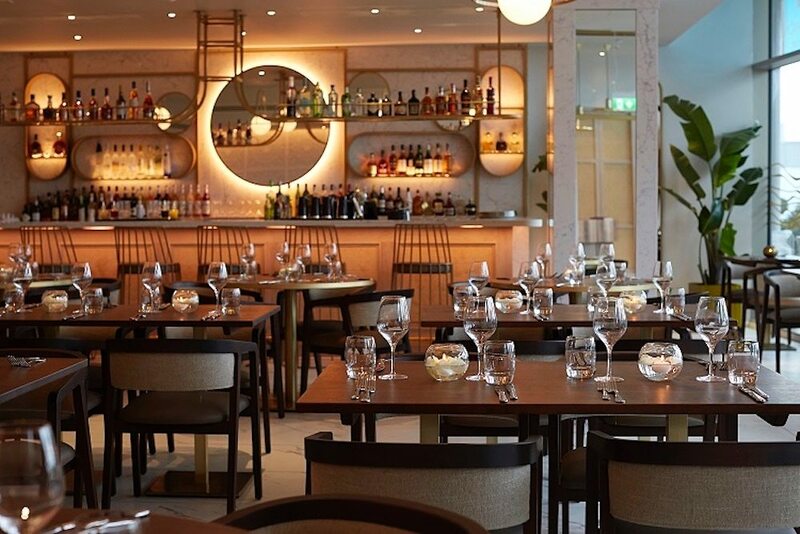 The breakfasts at Turl St Kitchen are hard to beat, plus you’re in a very cool, contemporary space right in the heart of the city, with the Bodleian and Radcliffe Camera right round the corner. If coffee is more your thing in the morning, try the much-admired The Missing Bean (also in Turl St). The Vaults cafe is a tourist crowdpleaser in a lovely spot next to University Church in Oxford University’s Old Congregation House of 1320, or for a hipster breakfast try Society Cafe in St Michael St. Lunch? My tip is the Dining Rooms on the top floor of The Ashmolean Musueum. 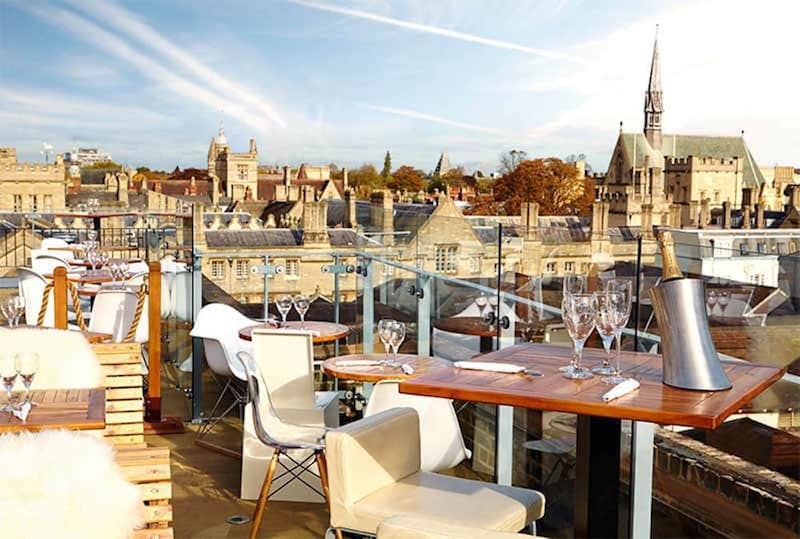 It’s light, bright and has a lovely rooftop terrace with tantilising glimpses of the Oxford skyline. I also rate the Bib Gourmand-ed Magdalen Arms pub (a short bus ride or 15 minute walk across Magdalen Bridge), The Anchor in Jericho (the artistic bit of Oxford), and more starchy restaurant experience of The Cherwell Boat house for its position on the water. For dinner, try Gee’s for sheer prettiness with its fairy lights, greenhouse plants and buzzy vibe that would equally suit romantics or groups, or the Rooftop of The Westgate Centre – The Cinnamon Kitchen has fantastic reviews, and there’s also Pho (Vietnamese) and Sticks n Sushi here. Over in grimily trendy Cowley Road, head for restaurant-of-the-moment Arbequina or the Kazbar for great cocktails and tapas, or Oli’s Thai up Iffley Road – consistently brilliant reviews for this lovely indie restaurant. Though The Randolph and The Old Bank will probably come up the top of most google searches, I think The Old Parsonage has a stronger offering as a stylish boutique hotel that is still high on heritage. 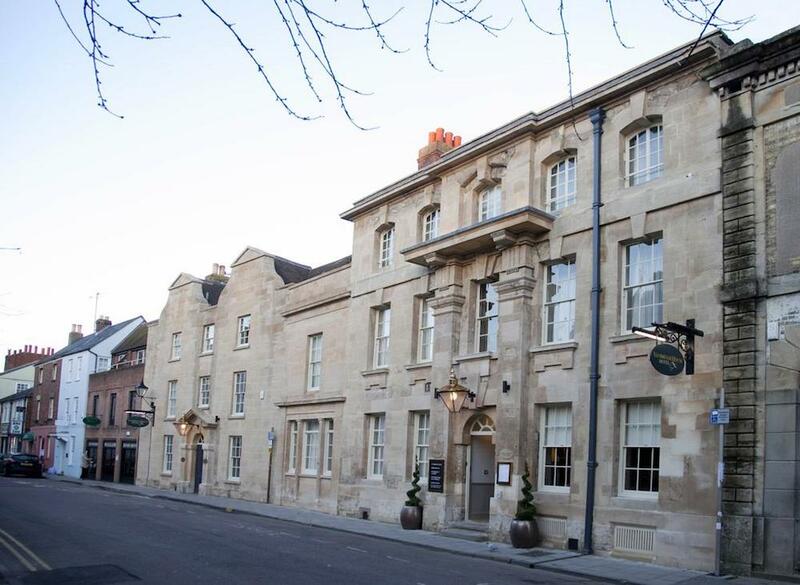 Another great option is The Vanbrugh House Hotel – incredibly central, it has lovely rooms, some with private courtyards, and enormous bathrooms – no dinner offered, but won’t you be out eating anyway? You can stay in the iconic ‘Shark House’ in Headington (see it to believe it!) via airbnb. Or for an inexpensive, authentic way to explore Oxford, stay in a college room. They’re not flash by any means but the likes of Christchurch, Magdalen, Trinity and Jesus colleges all take part, and you can feel part of the brainy gang for a while. The city is surprisingly compact and you can walk around the centre in a morning. 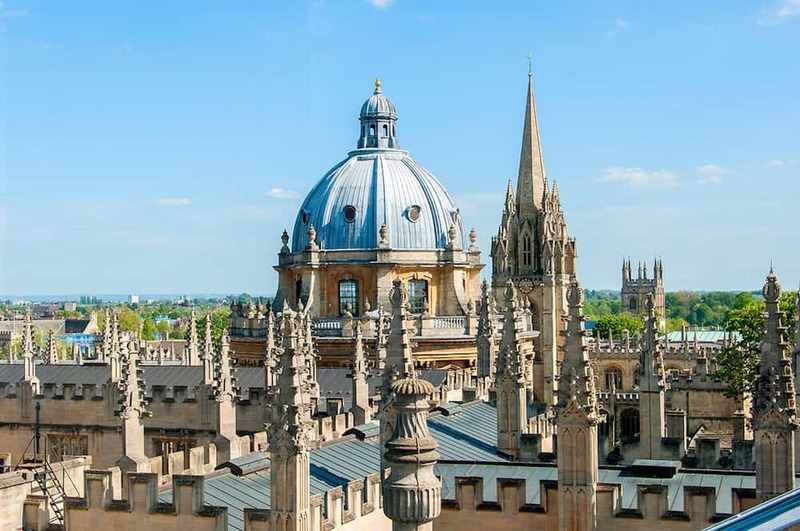 Get your bearings on Broad Street for the Christopher Wren designed Sheldonian Theatre, peer left for the Bodleian Library, walk past it for the stunning Radcliffe Camera and stop off at beautiful colleges at every turn. If the buildings get to much, you’d be surprised how easy it is to find the country in the city. Christchurch Meadow behind the Christchurch College is a stunning area that takes you down to the river – take a picnic on a sunny day. 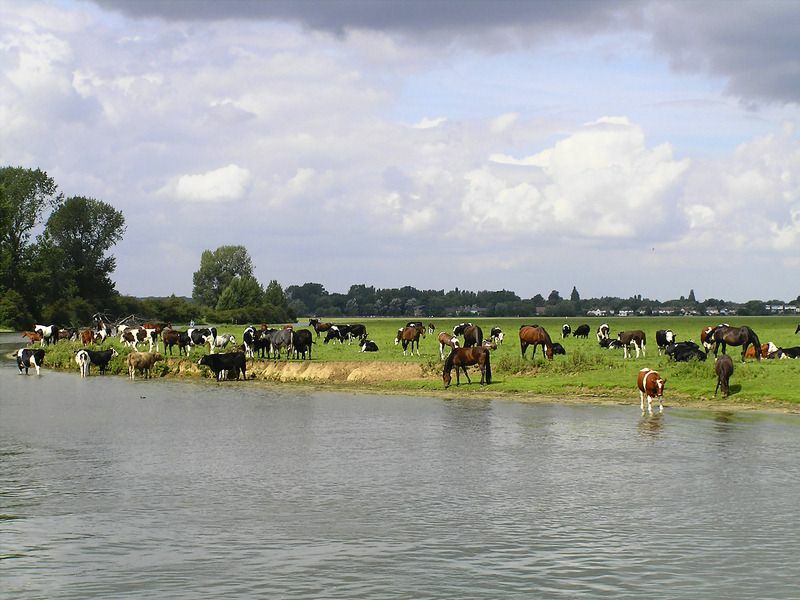 But for an even better walk only the locals know, head to Port Meadow, 300 acres of grazing land bang in the city (and mentioned back in the Doomsday Book) where you can stop off for lunch at The Perch or a little further on The Trout or Jacobs Inn – all excellent pubs. I’ve done the walk here so you can see where you’re going! Oxford has an extraordinary number of pubs, and if you’re looking for an authentic Morse-type experience, head to The Turf Tavern, accessible only down a narrow passageway and hidden by imposing medieval walls. It’s oozing old-school character in a way that ale lovers will best appreciate. For something more chichi check out the roof terrace at The Varsity Club (amazing views, above), or head to Jericho for the cocktail specialists Raoul’s (the Muddy crew had a few too many here at our Christmas party) or up Cowley Road, where the cool barometer rises as the air quality count decreases with Café Tarifa , Big Society or The Rusty Bicycle. Shopping in Oxford has never been its strong suit but the October launch of the £440 million Westgate Centre has changed that. 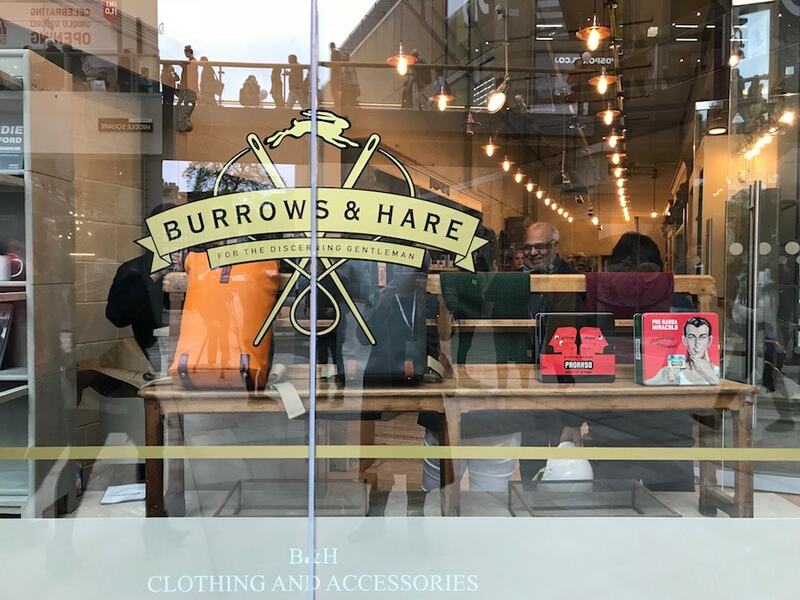 For fashion, head straight there for & Other Stories, Cos and Reiss, Burrows & Hare for men and a brand new John Lewis for all living creatures. The best indie shops are dotted randomly – mostly in Jericho or up the Cowley Road. The best independent boutique is Vanilla in Summertown (10 minutes on a bus) in South Parade where you’ll also find Law & Co boutique, and the very lovely North Wall theatre. You could spend a morning mooching here if you have time. The Covered Market in central Oxford has a large number of indoor indie sellers. Where to start?! If we’re talking ‘tick off lists’ then we’d better start with punting. The easiest place to start is next to Magdalen Bridge and you can hire a punter if you’re worried about crashing (or like me, can’t be bothered to do it yourself). It’s not cheap but we’re not talking Venice prices here. From here you’re across the way from the Botanical Gardens, well worth a visit (there are often events put on for young kids). Every self-respecting tourist should do the Bodliean Library tour – choose the one where you get to see Sir Humphry’s library, it’s incredible. Pick off a couple of colleges to see – personally I think the most beautiful is Magdalen College, but St John’s, Christchurch, Trinity, Worcester and Balliol all give it a run for its money. Also the tiny medieval St Edmund Hall (known locally as Teddy Hall) has the cutest front quad of them all. You have to pay a couple of quid to enter though you may find it more difficult to get in during exam times. I always think a city tour should start with a bus tour and my kids have done the Oxford one several times! There are quite a few companies and they’re all OK – just hop on and off as you like. 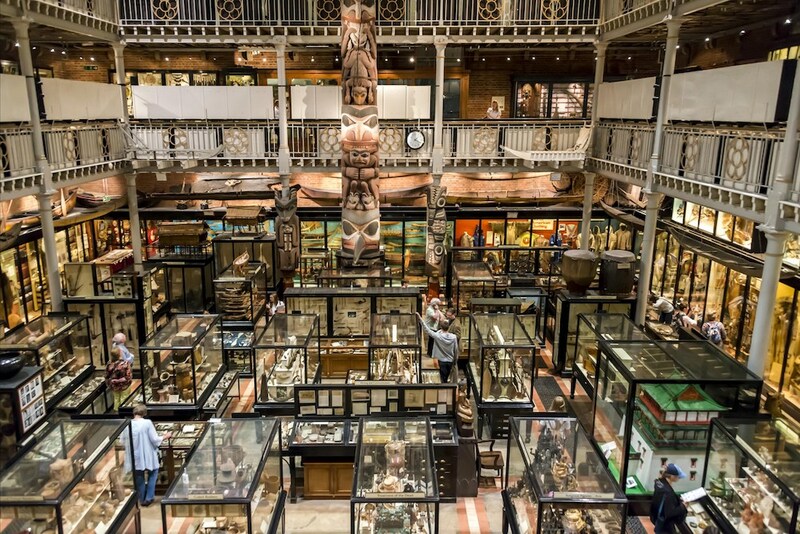 There are some particularly child-friendly museums, with the Pitt Rivers at the top of the list with its African masks, totems and shrunken heads, along with the dinosaur skeletons in the Natural History Museum next door. Smaller kids will enjoy The Story Museum, dedicated to authors and literature (not at all fusty I promise) and next door is Modern Art Oxford – free to enter, and interesting for kids with the large space, conceptual this and thats and decent cafe to boot. For eats try Atomic Burger on Cowley Road (hop in a cab – it will take you 5 minutes), Mamma Mia on South Parade in Summertown (Pizza Restaurant of the Year 2016!) or head to central George St if all they want is Jamie’s Italian, Byron Burgers or any of that chain malarkey. You’ll think the Bates Museum of Musical Instruments odd yet strangely compelling! It houses Handel’s harpsichord amongst scores of historical instruments and is a fun drop-in (it’s just next to the entrance to Christchurch Meadows). The Museum of the History of Science is also ‘niche’ but small enough for kids to enjoy and literally next door to The Sheldonian Theatre. Or how about a ghost tour by Bill Spectre? Part comedy, part waa-ha-haaaa – he’s a bit of a local institution. 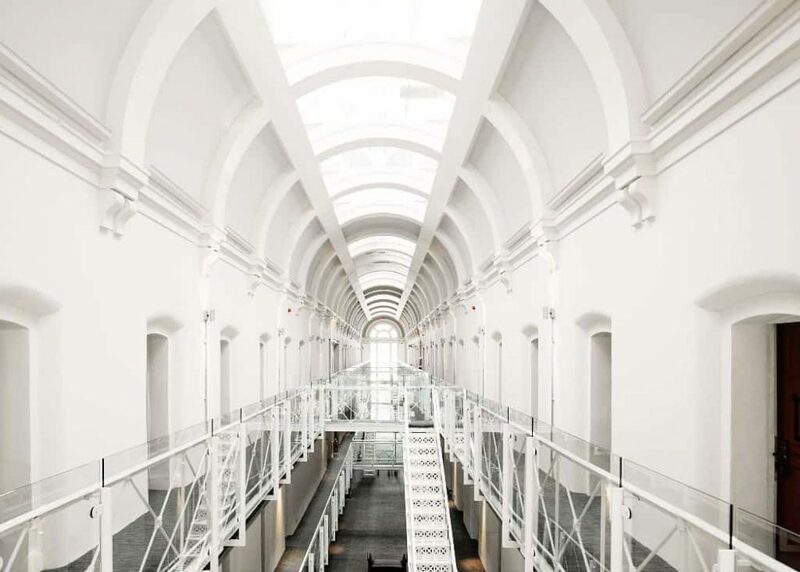 And if you want to stay in a prison, be my guest – Malmaison rooms are to found at Her Majesty’s Pleasure in the former penitentiary. Aside from the big beasts of The Ashmolean, Natural History Museum and The Sheldonian Theatre I’d suggest checking out lesser known treasures – The lovely Christchurch Picture Gallery next to Christchurch Meadows with its collection of old masters drawings; a trip to the top of St Michael in the North Gate on Cornmarket St (the tower is from Saxon times); walking to the top of The Sheldonian Theatre for a look out across the spires – it’s an amazing and rarely seen view. Many of the top college choirs offer evensong performances that will send shivers up your spine – New College, Christchurch and Magdalen are the most famous. Arts-wise, the North Wall theatre in Summertown is highly impressive with a fast turnover of comedians, and award-winning shows. You’re best to head up Cowley Road if you’re feeling trendy. 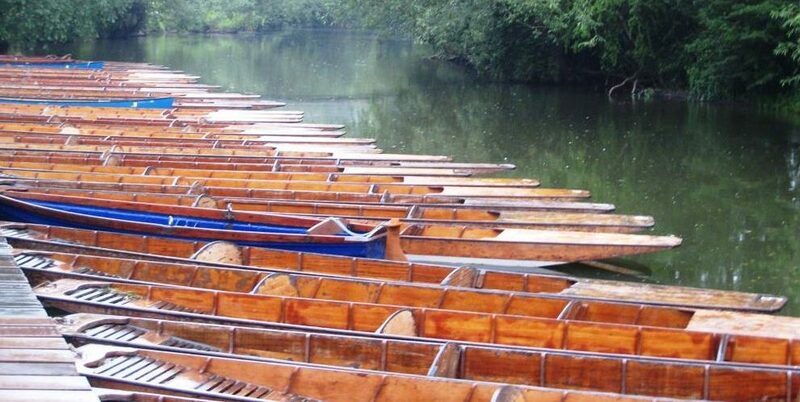 It’s 5 minutes in a cab or 15 minutes walk from the centre of town, over the Magdalen Bridge. Just meander from shop to shop! You’ll find Truck Store here, Oxford’s only independent music shop selling CDs, vinyl and books, with a small cafe and regular live band performances. 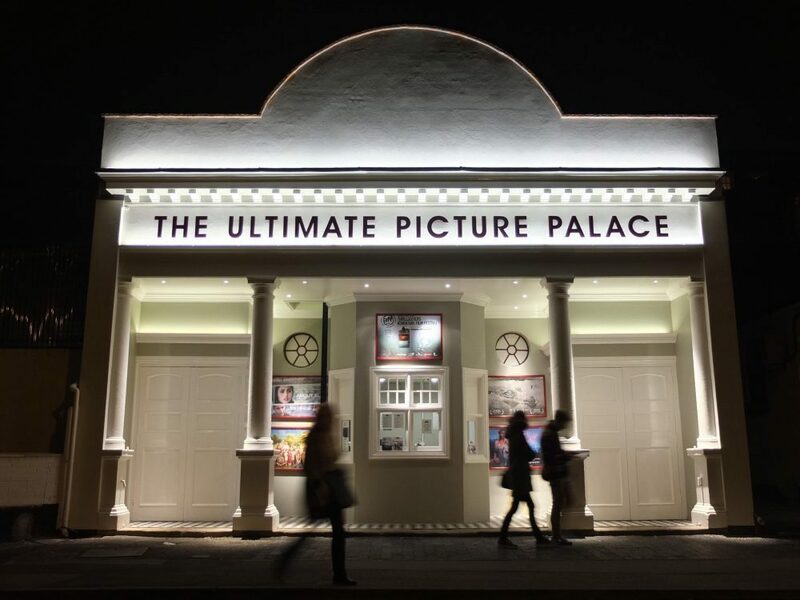 The Ultimate Picture Palace is Oxford’s only indie cinema, and has its own bar, eclectic programming and groovy thirties styling. There’s The Bear & The Bean cafe and the Hi-Lo cafe for Caribbean food in a tiny, low-fi restaurant that looks like it’s transplanted from, er, the Caribbean. If you’re happier staying central, down some hole-in-ones at Junkyard Golf in the Westgate or The House bar with its Philippe Starck sofas, private terrace and games room. Just add a beard and trainers and you’ll fit right in. Great info as always! A must read. I think the University Church Tower has the best views, otherwise good info. I know this post is from March – but sadly the Oxford Wine Café in Summertown has closed and it’s now a restaurant called ThirtyEight. Thanks for letting us know, Ella.